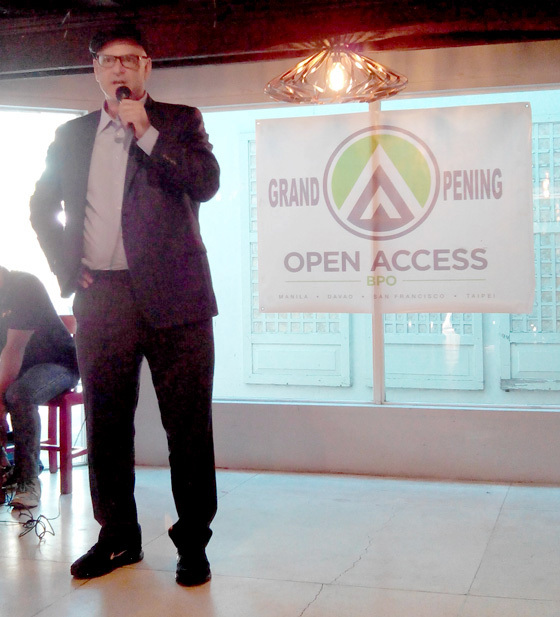 Open Access BPO, a global outsourcing company launches their new office here in Davao City on August 11. This is the company’s fourth office following their San Francisco, Makati and Taipei Headquarters. Open Access BPO provides quality and high-value customer and technical support services done across multiple communication platforms. It also specializes in Social Media Content Moderation, Customer Support and Multilingual Call Center Solutions now delivered in over 20 languages, channeled via phone, emails and live chat. 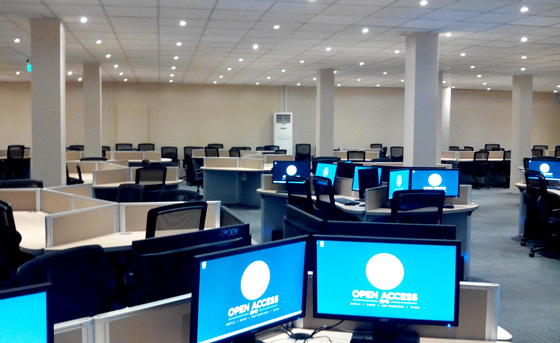 Open Access BPO is a welcome addition to the growing business outsourcing industry in Davao City and a very good news to jobseekers in Davao region who want to start and grow a career in call center. 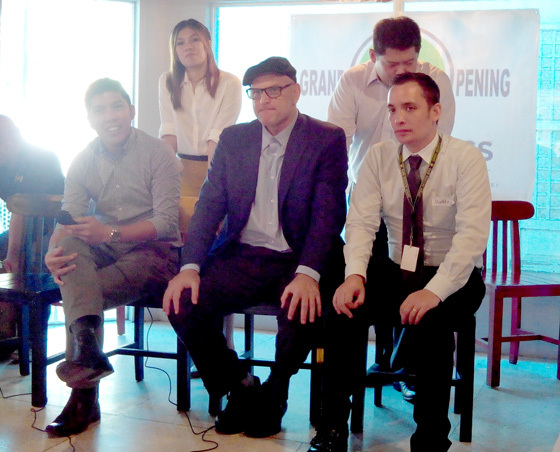 The press briefing was held at Huckleberry Southern Kitchen and Bar where it was attended mainly by Davao Bloggers. When asked Why expand in Davao? 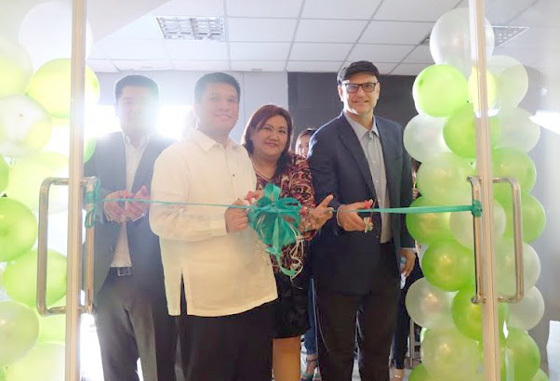 Open Access BPO CEO and Founder, Ben Davidowitz was quick to said that, “Davao provides educated and skilled English-speaking agents at a 30% cost reduction. This gives us the opportunity to save more money for those companies looking to cut costs while maintaining the same standards”. 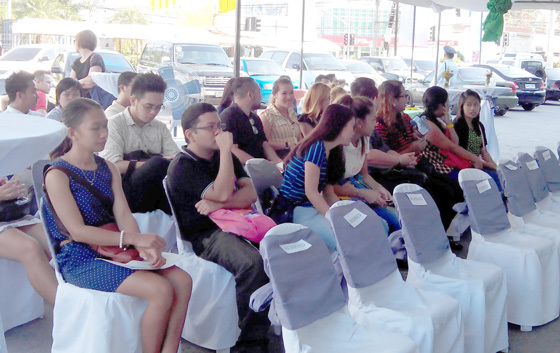 Open Access BPO Executives at the press briefing. We proceeded to the site office after the press briefing. 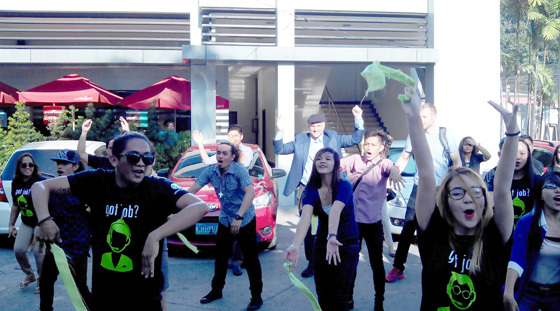 I like this part, Open Access BPO Execs joining the flash mob, right there at the back! I asked Arjay Flaviano, Open Access Senior Training Manager, what if I get hired now, how much would my salary be? In which I think every applicant’s first question. As expected he didn’t reveal the exact figures and I understand completely as this is confidential and usually just being disclosed to new hires. But there are things related to this the company is certain. They’re confident they offer a much better package than the others. They offer performance-based incentives, allowances, other fringe benefits and a great opportunity for career growth and development. 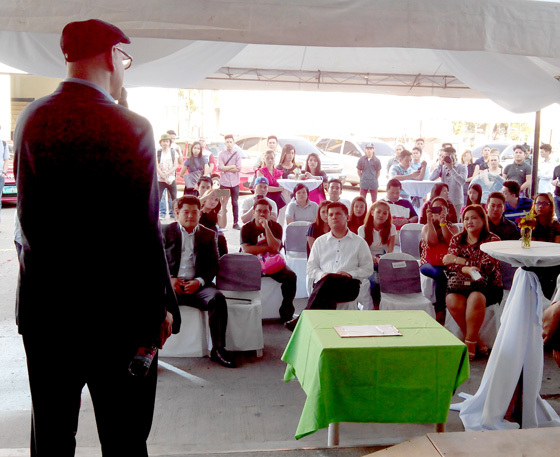 Arjay also added that with the growing number of competitors in the industry, applicants most of the time don’t look for high salaries anymore, but a good working environment where there is less pressure in the workplace. 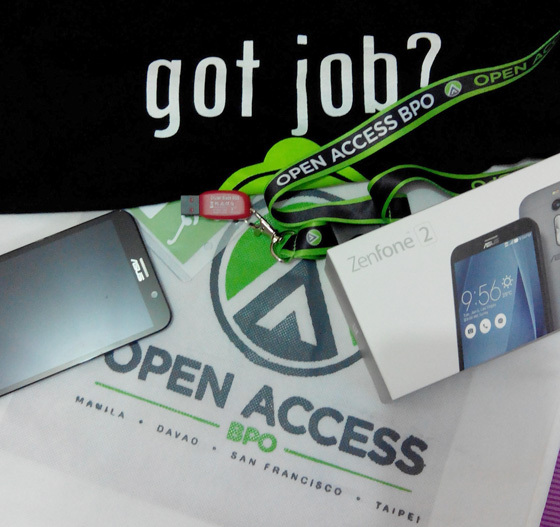 Open Access BPO assured their would-be employees that their company would provide a working setting that is a “humanistic environment with less stress in the workplace for everyone”. 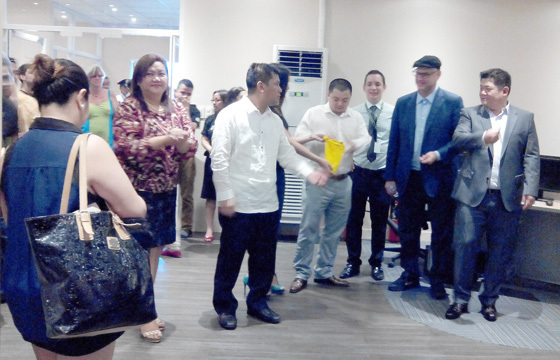 Congratulations Open Access BPO and welcome to Davao! T'was my lucky day, I won in the raffle.